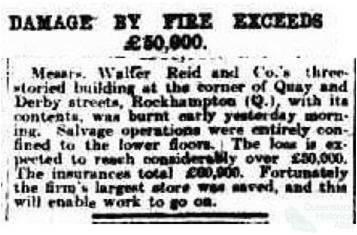 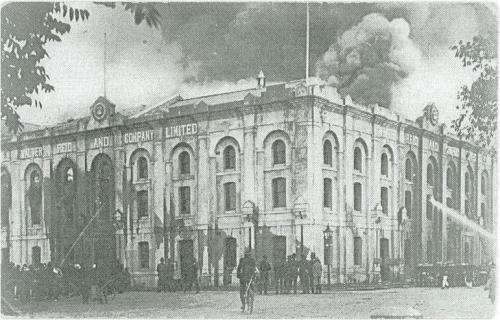 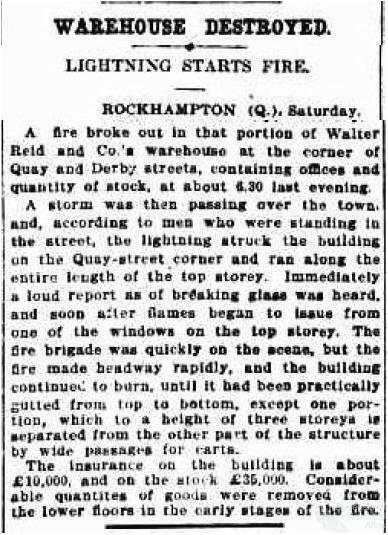 Both Walter Reid warehouses were affected by fires in 1912 and 1918. 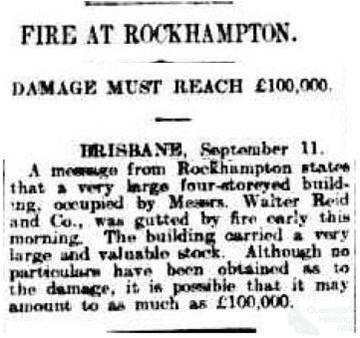 These newspaper reports describe the damage and the importance of the business nationally. 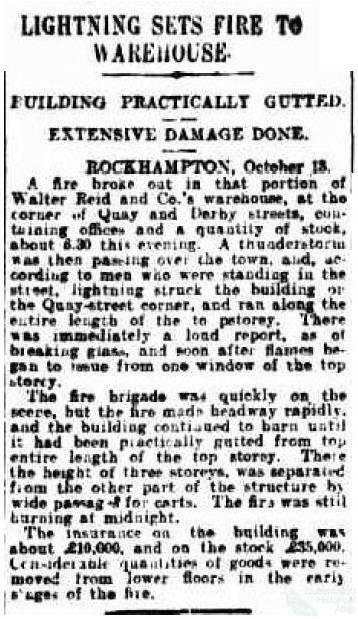 The Sydney Morning Herald, 14 October 1912, The Mercury, Hobart, 14 October 1912, The Northern Territory Times and Gazette, 14 September 1918, The Argus, 12 September 1918, The Mercury, Hobart, 12 September 1928.